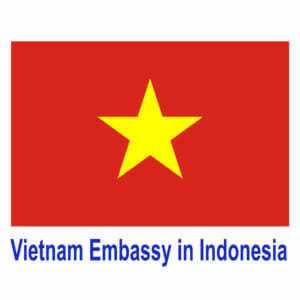 (News from DSQVN in Indonesia) – December 8, 2015, Ambassador Extraordinary and Plenipotentiary of the Socialist Republic of Vietnam in the Republic of Indonesia, Dr. Hoang Anh Tuan had a meeting with the Minister courtesy National Republic of Indonesia room Ryamizard Ryacudu. Indonesian Defense Minister Ryamizard Ryacudu congratulate Dr. Hoang Anh Tuan received new tasks in the position of Ambassador Extraordinary and Plenipotentiary of Vietnam in Indonesia and expressed hope that relations between the two countries in general and bilateral defense cooperation in particular, there will be new developments in the tenure of Ambassador. Ryamizard Ryacudu Minister said in recent years security cooperation – defense and Vietnam – Indonesia has made great strides, expressed in number of exchange of delegations at various levels of defense increases, content exchange and more substantial from promoting bilateral defense cooperation issues of regional security and international. According to the Minister Ryacudu, both Vietnam and Indonesia has important strategic interests and the need to work closely together to bring peace and security in the South China Sea. Ministers stressed Ryacudu defense cooperation as pillar, is a integral part of the strategic partnership Vietnam – Indonesia and wants to further promote defense cooperation with Vietnam in the coming time. Ambassador Hoang Anh Tuan thank Ryamizard Ryacudu defense minister said on cordial and frank about the defense ties Vietnam – Indonesia. Ambassador said it would make every effort to promote cooperation and exchanges to enhance understanding and mutual trust between the people and armies of the two countries. Ambassador Hoang Anh Tuan said that in the context of the regional situation and the current complex international, strengthening the exchange of defense cooperation of the two countries play a vital role for maintaining peace and security area. On this occasion, the Ambassador also moved greetings and invitation to visit Vietnam Vietnam Defense Minister Phung Quang Thanh to Minister Ryamizard Ryacudu. Minister Ryacudu have gladly accepted the invitation and will arrange a visit to Vietnam in the shortest time.